The ridge split procedure is a form of ridge augmentation or widening. This procedure has been proven successful for those with narrow alveolar ridges. The ridge split procedure is a minimally invasive method that offers a lot of benefits in the preprosthetic phase of dental implants. The risk of suffering from inferior alveolar nerve injuries is also lower. There is less pain and you don’t need to prepare a second surgical area as donor. You also don’t need to worry about swelling. It is very hard for a patient to get a successful dental implant process when he or she doesn’t have the right bone structure for the procedure. This is where the ridge split method can help. It is beneficial for patients who want a successful dental implant process without any complication. One of the most common problems with patients who need dental implants is the lack of alveolar bone. For those with enough alveolar bone structure, doing the implant procedure has higher chances of success. The process won’t be complicated for the dentist and the patient as well. Patients who don’t have enough bone structure can benefit from the ridge split procedure. Regenerating the alveolar bone structure is not that simple and will need special attention from the dentist and the patient. After the procedure, patients can have the beautiful smile they have always wanted. Many dentists also consider the ridge split method as one of the best ways to improve the width of the augment alveolar bone. 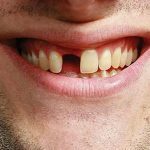 Those who are suffering from an edentulous mandible condition that needs a horizontal alveolar bone lift can benefit from the ridge split technique. What Happens During the Ridge Split Method? A two-stage method is used to ensure the success of the ridge split procedure. The first phase consists of dividing the mandibular bone with a piezo instrument instead of using a drill or hand piece. The second phase will be placing the implant. The bone structure and the implant size will determine the ridge split’s size. After everything is done, the alveolar plate will be steady enough to make sure that the patient would enjoy a successful dental implant. The ridge split procedure has been proven successful for those who need a more permanent solution to their missing teeth. If you have lost your teeth, you don’t need to worry at all as you can still achieve the perfect smile you have always wanted. 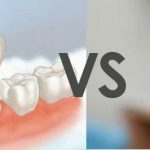 You can talk to your dentist to know if the ridge split procedure is right for you. He will explain to you what needs to be done before, during and after the process. Remember that the experience of a dentist is an important factor to consider when you want to undergo the ridge split procedure. This procedure alters the bone structure and is usually done in a closed manner. The thin ridge needs to be carefully manipulated and the dentist should have specialized training and know the right surgical principles to successfully conduct the process.